Matta was born in Santiago, Chile, on November 11, 1911, as Roberto Antonio Sebastián Matta Echaurren. He was educated in his native country as an architect and interior designer at the Sacré Coeur Jesuit College and at the Catholic University of Santiago, from 1929 to 1931. Although well-known as a Chilean painter, printmaker and draughtsman, Matta left Chile as a young man and did not like to be thought of as a "Latin American artist.” In 1933, he became a Merchant Marine, which enabled him to leave Santiago and travel to Europe. From 1933 to 1934 he worked in Paris as an atelier for famed architect Le Corbusier. At the end of 1934, Matta visited Spain where he met the poet and playwright Federico García Lorca, who, through a letter, introduced young Roberto to Salvador Dalí. Dali in turn encouraged Matta to show some of his drawings to Andre Breton. 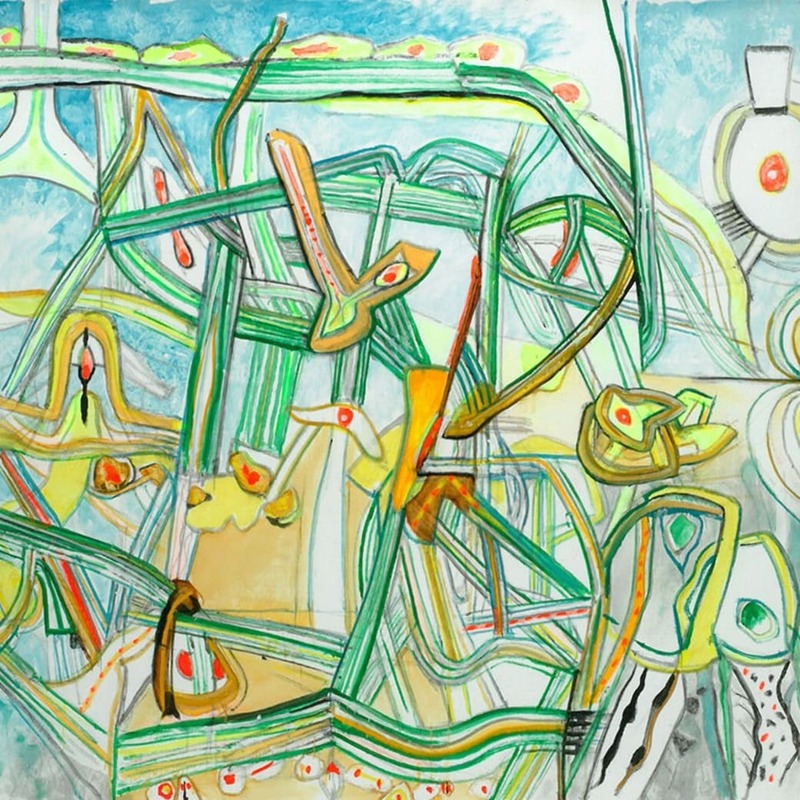 Matta's acquaintance with Dali and Breton strongly influenced his artistic formation and subsequently connected him to the Surrealist movement, which he officially joined in 1937. He was in London for a short period in 1936 and worked with Walter Gropius and László Moholy-Nagy. Matta's employment with the architects of the Spanish Republican Pavilion at the Paris International Exhibition in 1937 exposed him to Picasso's Guernica which greatly impressed him and influenced him in his work. At this time, he was introduced to the work of Marcel Duchamp, whom he met notlong after. Matta later went to Scandinavia where he met the architect Alvar Aalto and then to Russia where he worked on housing design projects. The summer of 1938 marks the evolution of his work from drawing to painting. Matta completed his first landscape oil paintings while in Brittany, working with Gordon Onslow. Forced to leave Europe with the outbreak of war, Matta arrived in New York in the fall of 1938. In an article, Kathy Zimmerer of Latin American Masters, Beverly Hills, describes his work Crucifixion from that year as "evolving biomorphic forms that mutate and flow across the surface of the canvas” and said that Matta's “fluid realm of space cushions their journey. His luminous palette of deep crimson, yellow, blue and black, defines and outlines the organic forms as they undergo metamorphoses." Crucifixion is representative of a non-figurative period of his work where he developed his palette and use of color to create energized forms and space. Consistent with his later works and with Surrealist theories of practice, Matta began his exploration of the visionary landscape of the subconscious. He looked to his friend and mentor Yves Tanguay whose works recall the hellscapes and allegories of 15th and16th century Dutch artists such as Bosch or Bruegel. In addition, both Matta and Tanguay created a universe that is simultaneously fiery and chilly and was often connected to their own social consciousness of the ongoing war in Europe. Art critic John Canady in Mainstreams of Modern Art described Matta's composition versus Tanguay's as having a "more diagrammatic composition (possibly a result of his architectural training) where a kind of astral geometry organizes the holocaust." In addition to Tanguay's strong influence, there are parallels between Picasso's Guernica and Matta's Crucifixion. Both works of art are motivated by their respective spiritual and social consciousness. InGuernica, Picasso emphasizes the "spiritual hideousness of which mankind is generally capable." Matta focused on the spiritual affect of the machinations of war. The visual landscape he created connectsus to each other, implying that when we declare war on others, we are really waging war with ourselves. These ideas are embodied in fluid forms in their movement, texture, and contrast. Matta's style and willing exploration of the Surrealist philosophy of automatic composition heavily influenced the development of the Abstract Expressionist School and their exploration of Action painting. Matta first exhibited in the Julien Levy Gallery in New York in 1940. The ‘40s signified the reintroduction of the human figure in Matta's compositions creating a compositional dialogue of Man versus Machine. The forms he created were organic and existed in symbiotic relationships with machines. In 1947, Matta was expelled from the Surrealists, and in the 1950s and ‘60s he established homes in Rome, Paris and London. His work in the 1960s tended to have distinct political and spiritual intentions. An exhibition in 1968 at the Lolas Gallery in New York displayed much of this work. In 1962, he was awarded the Marzotto Prize for La Question Djamilla, inspired by the Spanish Civil War. The 1960s marked not only a change in his themes, but in his style. Matta found influence in contemporary culture while remaining close to his Surrealist roots. His work can generally be split into two areas: cosmic and apocalyptic paintings. Elle s'y Gare is an example of the cosmic arena and what Andre Breton called "absolute automatism." The idea of automatism was a key element of the Surrealist movement, which emphasized the suppression of conscious control over a composition in order to give free reign to the unconscious imagery and associations. Matta used automatism in a manner that allowed one form to give rise to another until unification was achieved or until further elaboration destroyed the composition. These "chance" compositions are exploited with the fully conscious purpose of artist taking over. He was certainly one of the few Surrealist artists to take on political, social, and spiritual themes directly, without abandoning his signature biomorphic mutations or resorting to social realism.